Minerva Hosting Review 2019: Is Minerva Hosting a Good Hosting? Madrid-based Minerva Hosting was established more than ten years ago by young professionals with extensive I.T. experience. Now, the company offers a wide range of hosting services and domain solutions. Having started out more than ten years ago, Minerva Hosting is still “obsessed with quality.” This is not just its corporate slogan, and this company’s high quality hosting solutions are design to ensure your website’s availability and data protection. Miverva Hosting’s website supports Spanish. This provider offers four shared hosting plans – Mini Plan, H10, H20, and H50 – which are ideal for small and medium websites. It also offers three reseller hosting plans, three fully managed VPS plans, and dedicated servers that can be customized to fit your needs. With all these plans, you can get additional features (disk space, data transfer, and a unique IP address) at an additional cost. One of Minerva Hosting’s most interesting features is its variety of backups on offer. While weekly data backup is the norm in the hosting industry, Minerva takes daily, weekly (remote) and monthly backups, which means you’ll get six differently-dated backups in at least two locations. All servers use RAID disks to ensure data redundancy so your data can be rebuilt from the data on the other disks in the event of a disk failure. Minerva Hosting uses leading network providers, so your data will travel through the networks of Tier 1 providers Comcast, Cogent, Verizon, and Level3. Although Minerva doesn’t offer any server uptime guarantee, its servers aren’t overloaded thanks to its preferential agreement with the data center. Minerva Hosting’s shared hosting plans are incredibly affordable, and you can save even more money by opting for annual billing with a month’s free service. Other billing cycles include monthly, quarterly, and half-yearly, but it depends on the plan. You can pay in euros by bank transfer, credit/debit cards, or PayPal. If you’re cautious about committing to a plan, you can get some comfort from the 15-day money-back guarantee that effectively gives you two weeks to change your mind. The only way to contact this company’s customer support team is via a ticket system, via which I received no response. Existing customers can also log into a client area where they will presumably get better support, but a telephone number, live chat, or email address for prospective customers wouldn’t go amiss. Minerva Hosting’s knowledge base contains 56 FAQs, 12 detailed manuals, and 5 video tutorials, which should be of some use to you if you like supporting yourself. 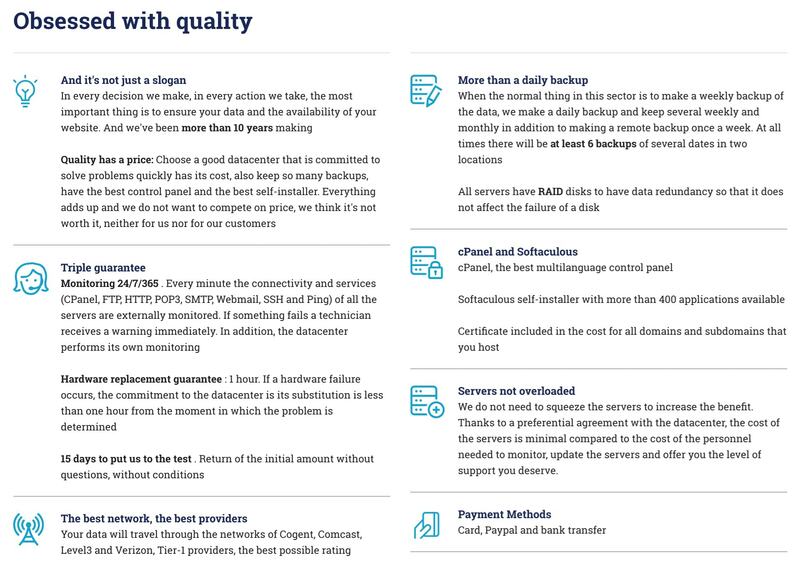 For affordable hosting plans backed by a triple guarantee (24/7 monitoring, 1-hour hardware replacement, and 15-day refund), it’s worth taking a look at Minerva Hosting’s hosting plans. See Minerva Hosting’s triple-guaranteed hosting plans. Wondering how Minerva Hosting stacks up against other Web Hosting companies? Enter any other Web Hosting company and we will give you a side-by-side comparison.